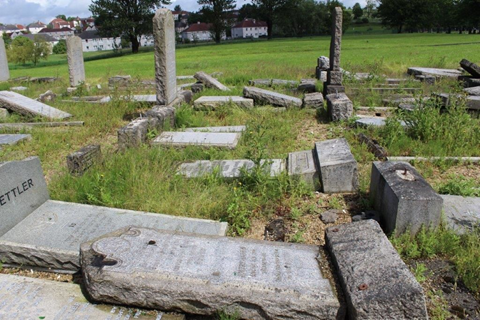 The Glasgow Jewish Cemeteries Restoration Project (GJCRP) was launched at the end of 2015 with the main aim being to restore the cemeteries at Riddrie and Glenduffhill to a more respectful condition. The project is summarized in detail in the Appeal Page, which also has details on how to donate. 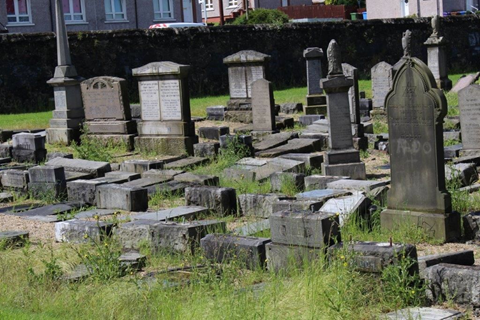 To date we have successfully restored Riddrie Cemetery. 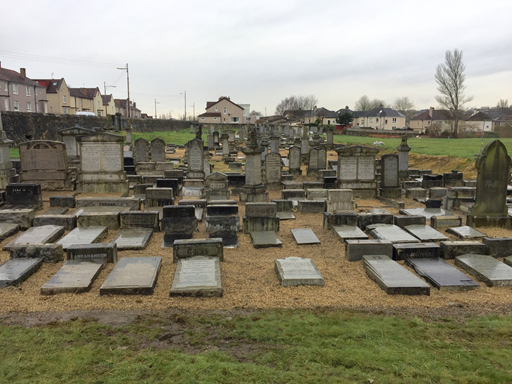 Some photographs of areas of the cemetery before and after restoration are shown below. 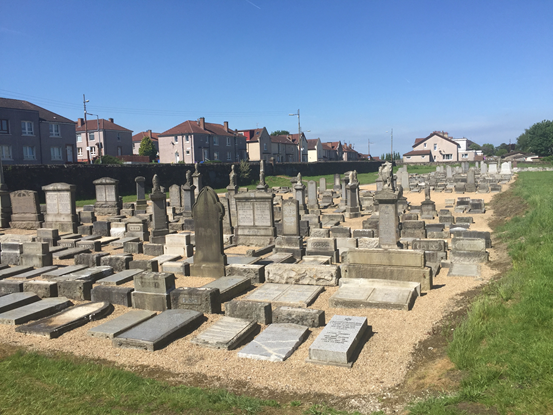 Despite excellent responses from many members of GHBS, individuals throughout the UK and internationally, and charitable Trusts, our target of £100,000 for Riddrie has not yet been met. To enable this work to occur, we have been obliged to transfer £30,000 from our reserve funds to meet the shortfall. These funds must be restored to ensure future financial stability. We therefore appeal to all who have yet to donate, and indeed to those who have already donated, to make a contribution to help us reach this target. 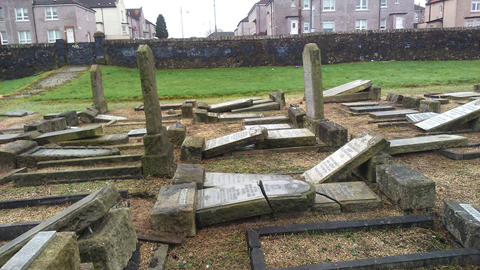 We have now received generous support from several of the major Glasgow Jewish charities to allow us to commence work on Glenduffhill. This will be a major project, lasting at least 5 years. Updates on this project will be posted at intervals. The total cost of this project cannot yet be ascertained though it is well into six figures. 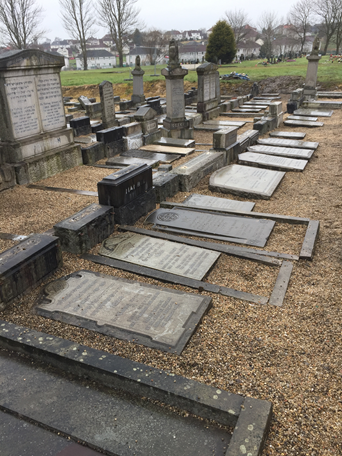 Additional funding will certainly be required so we would welcome donations to this ongoing project. Donations can be made by clicking the ‘Donate” button, or using one of the methods described in the project document.